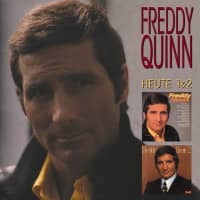 1-CD-Album mit 24-seitigem Booklet, 24 Einzeltitel. Spieldauer ca. 79 Minuten. 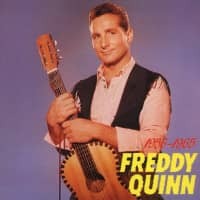 In the early years of his success, at the end of the 1950s, Freddy, with his low baritone, especially took the rebellious young men to his side. I remember on class trips, Freddy's songs spiked in our schoolboys' minds. After evening football matches with local street teams, a Freddy song ("Juanita was called the girl...") was sung in the storm of victory. Whoever was already taller - half as strong as it was then - and dreamt of the wide world, was even more inspired by the powerful songs and only too willingly complied with the request: "The day comes when you want to go abroad...". Later, as Freddy's songs became more romantic, some of the young boys turned their backs on him. They set to harder rhythms. On the other hand, the guitar hero was all the more heart-broken with girls. This led in many families to a fierce sibling fight in the fight for the local radio. If the brother wanted to hear a football report, the sister moaned because the pop parade was on at the same time - with Freddy. With so much popularity, the powerful film-makers of the Economic Miracle cinema soon realized that the hit star was a gold mine for them. Because anyone who sang so successfully had to be well received on the screen. No sooner said than done. From 1957 to 1971 he made 13 Freddy films, seven of which bear his name in their title! Many were written right to his body. It was directed by men with a flair for entertainment and cash. Wolfgang Schleif, who later became a sought-after director for family entertainment on television, staged four adventures alone. The locations of the films were the cities of Hamburg, Munich, Berlin and, of course, the big wide world: Canada ('Freddy - under strange stars') and Brazil ('Weit ist der Weg'), the South Seas ('Freddy und das Lied der Südsee'), Ireland ('Nur der Wind') and Sardinia ('Haie an Bord') - the breath of distance and homesickness blows through Freddy's songs as well as the screen adventures. 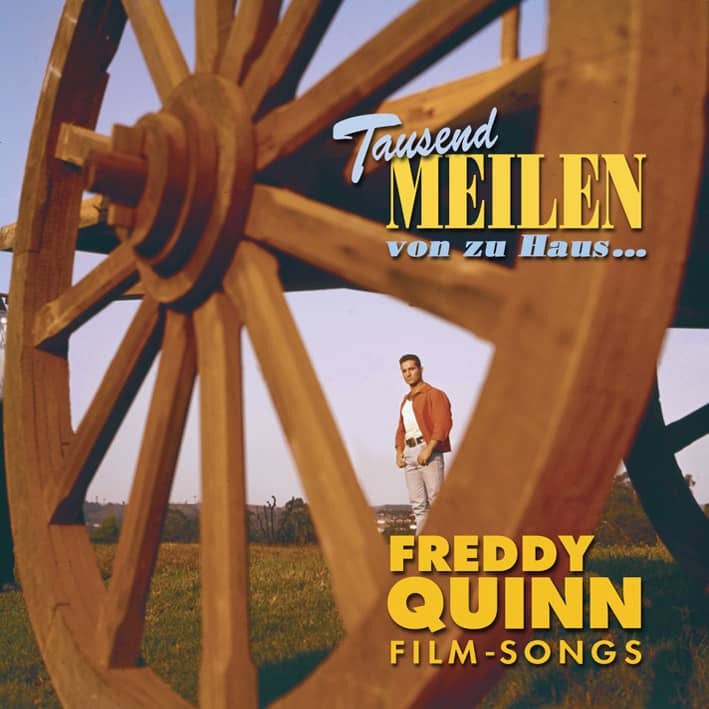 Business savvy, rental companies included the names of major Freddy hits in their film titles, so their success was certain:'Heimatlos','Freddy - die Gitarre und das Meer','Freddy - Unter fremden Sternen'. 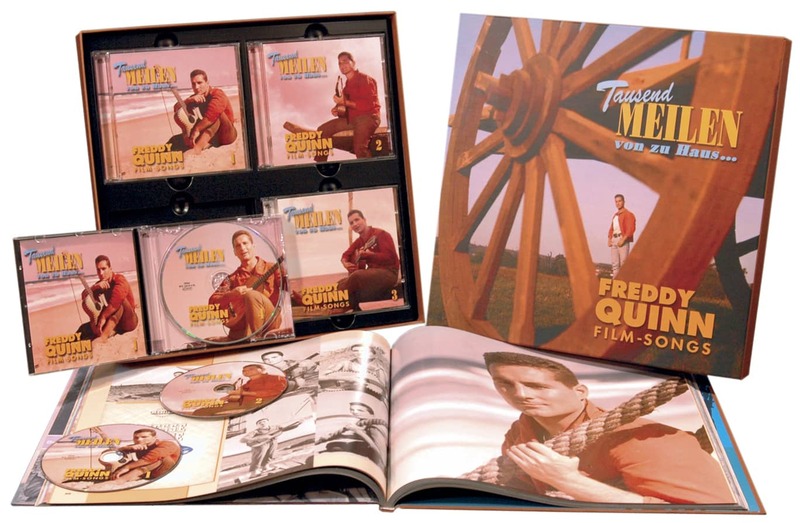 Freddy's entertainment film marked the beginning of a new genre in post-war German cinema. The previous music film mosaic, consisting of a series of popular hit artists, was replaced by the musical thriller or adventure film, the plot of which was carried by only one main character, Freddy. He was a hero like he couldn't be more German: Truthful and faithful, singing heartthrob and child lover. Mr. Saubermann in person. Many mothers who watched the films with their adolescent daughters would have loved to land him as a son-in-law - if not as their own husband. The years 1959 and 1960 reflect its importance for the record and above all the cinema industry in a unique way. 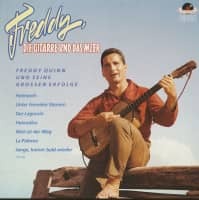 Within 24 months four Freddy films were released ('Freddy, the Guitar and the Sea','Freddy - Under Foreign Stars','Melody of the Night', Weit ist der Weg'). The upright nature of the entertainer and his music, with which he built up an exotic-romantic counter-world to the bourgeois everyday life of the Economic Miracle, made the box offices of the cinemas ring loudly. 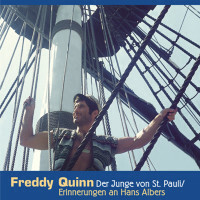 Freddy Quinn's importance as a screen hero was also evident in the fact that well-known film greats were placed by his side: Marianne Hold, Vera Tschechowa, Gustav Knuth, Heidi Brühl, Grethe Weiser, Heinz Erhardt, Karin Dor and finally the Hollywood curve stars Jayne Mansfield and Mamie van Doren. Customer evaluation for "Heute 1 & 2"
Ja, mit Freddy bin ich 'gross geworden'. Trotzdem kannte ich einige der Lieder nicht. So bin ich heilfroh, dass ich diese CDs bestellt habe. Und was ganz toll ist, dass ich die Sendungen von Ihnen so schnell (nach Kanada) bekommen habe. Nirgendwo im Netz war es möglich so schnell die CD zu erhalten. Dieses eine bestimmte Lied von Freddy zur Beerdigung meines lieben Vaters war mir sehr wichtig. Das Beerdigungsinstitut sagte uns nämlich leider drei Tage vorher das Lied ab. Innerhalb von 24 Stunden war die CD bei mir, super verpackt und im Klang einwandfrei. Dank dem Bear Family Team war es doch noch möglich!!! Freunde und Bekannte wurden nirgend anderswo fündig und haben zu Recht gestaunt über einen solchen grandiosen Service. Herzlichen Dank dafür an den Norden!!! Die Zusammenstellung ist Spitze. Sehr viele unbekannte Lieder. Macht weiter so. Bear Family Produkte sind unschlagbar. Auch in der Tonqualität ist einwandfrei.